2 static nozzle mixers. ETA approved. Approved for use in cracked and non-cracked concrete. High resistance Vinylester hybrid resin. Suitable for use in dry and wet substrates as well as holes and substrates covered with water. 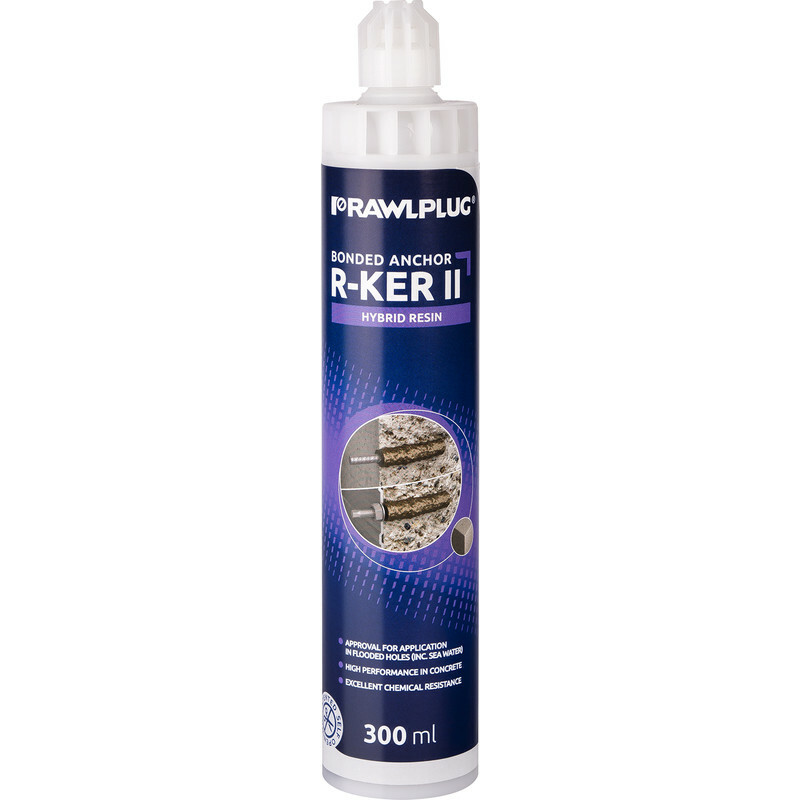 Suitable for use ETA Option 1 in both cracked and non-cracked concrete.